Am thinking about adding the Bit 10 to the MB standard audio system. Have already upgraded speakers & amplifier. This is supposed to be 1 of the best processors (other than the Bit 1 $900) available. Appreciate any info or usage you have. Installing in my 2015 ML250. By the way,how much audio do you get from the small speakers mounted in top area of the 2 rear doors? I don't get much of anything. Any other good ideas that I can afford? Planning on keeping this ML a long time. Great car! Thx. 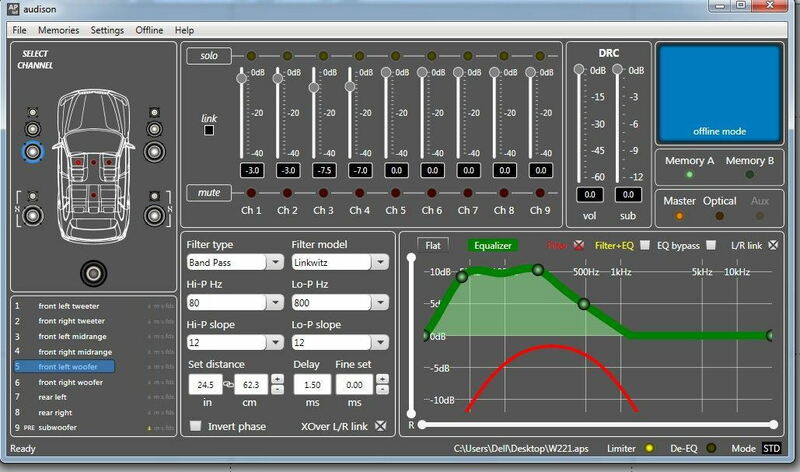 bit 10 is a great EQ, done many, done some of the first in the USA. Once it is set though.. it is set. If you have a different selection of music taste get the DRC, as it will allow you to preset eq's (2) and give you master volume control without adjusting the factory volume. 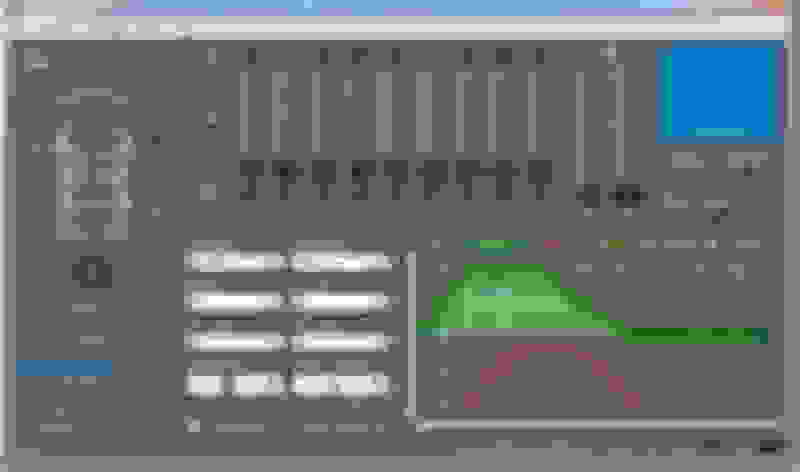 Seeing you dealing with a regular audio company that doesn't have the means to enable/disable the COMAND audio features, most likely the EQ curve will change when you turn the factory volume up/dn or the car on/off. if you are an iphone user than you can use the Pure i20 with optical output (don't believe it supports the 5 though, never tried it...) you can use the toslink input. Thx for your Bit ten input. Have not changed anything in COMAND & do not plan to do so. Want complete oem appearance & functions. Volume control will be on COMAND unless we add an outboard DRC. Not familiar with the Alpine products you mention. Have 1pm appointment today with installer. My Bit ten arrived yesterday. Will probably have install sometime next week. Anything else you can comment on can still be included @ this time. "Randy" has done work for me for several yrs & is flexible. If you are committed, and is sounds like you are, do not leave till it is perfect sounding to you. I see a lot of shops set it to a flat response which usually sounds "blah" Don't except it until it exceeds your expectations. Thx for the advise. Believe me Randy expects to spend more time "tuning" than installation time. I only live less than 15 min away from his shop so can live with it a while & return for any needed adjustments. My backround is as a Mfg. Rep in the audio industry. Repped mfg i.e. BOSE,JBL, AKG,PHILIPS etc. We have had discussion re the deficiencies of the existing system & corrections. No problem returning if necessary. Will post after installation. I purchased the audio components that have been used so far after consultations with Randy. BOSE COMMERCIAL SOUND !! Never a Bose fan in car audio. I was never involved in car audio. Residential,Commercial & Studio. Last edited by greasykid; 09-13-2015 at 11:19 AM. I just did an Audison Prima 8.9 in my 2010 S550, a DSP with an integrated 8 channel amp. Great sounding unit. If anyone is looking for a compact and inexpensive OEM integration solution, without adding external amps or changing speakers, I'd recommend it. Make sure on your Bit when the shop runs the initial config they do the de-equalization process. That will remove the factory EQ and give you a flat signal to start with. I have an s class 2006 year w221 and I like the sound in the car but its just lacking in volume for me what can I do to improve this ??? I see you mention Alpine Pxa H800 I have a pxa h701 with the controller that is brand new never fitted I was going to fit it in my last car with all the audio that I had in it. I wonder if this bit of kit is worth fitting in the S class with the oem command system what do think ???? Any advice is much appreciated. When I upgraded my speakers I also had new amp installed. ALPINE PDX-F4. 4 channel 400 watts. Great improvement & more power than I will ever use. Re earlier post here. The factory EQ removal was the 1st thing done. With a Prima 8.9 on a 221 it lacks enough inputs to sum all the speakers up front, center, and sub. I had to use a pair of bit1's to do it right. separated front and rear. Also Logic 7 needs to be disabled. Further the factory logic 7 system has more power than the Prima. it would at the very minimum need more channels for the amount of speakers in the vehicle, unless you are not amplifying a 3 way up front or using passive crossovers. Still no decision on when & if will be adding sub. Present speakers respond to 50 hertz. We have a backup plan on a sub if necessary. Does the Audison Prima 8.9 have a higher quality sound than the stock unit. I'm not referring to volume, just overall quality. I've just replaced my all my speakers to Hertz 165xl, an amp and processor are next. This seems to be the simplest option, although not the highest quality option. I just put in two sets of Herts 165xl with the stock Becker 20, it made a major difference on overall quality. Read my previous posts above. Just had Audison Bit ten installed. GREAT SOUND. It wasn't easy. My installer did it on 2 different days. The tuning is a Black Art. After the first session we both took a few days off to listen & critique.We met again to discuss how we would like it to improve. The second session was a GREAT improvement. I have been on this project for over 6 months. The end results are worth it. I was asking about the guy that did the 8.9, and comparing it to a Audio 20. I'm new to this posting stuff so I don't know if I'm responding in the proper place-location, here. I didn't approach it as if the holy grail was to have DSPs handling every single channel coming off the Becker amp. I left the puny 4" center and rear surround speakers alone on the OEM amp. It's not like they were big producers. 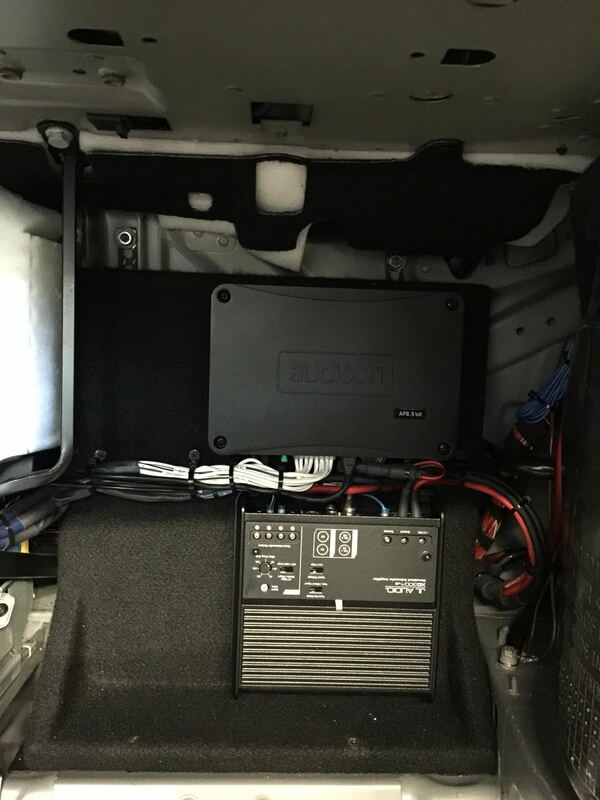 The OEM sub in the rear deck got its own small 300 watt JL mono amp, and took signal from the Prima's sub out. That left the Prima to handle just the front and rear door arrays, which do most of the heavy lifting. We set the fronts as 3 way active, and the rears as two way passive. De-Equalization of the factory signal. Last edited by Mike5215; 10-09-2015 at 12:18 AM. Oh yeah. You're halfway to a killer system. The real value of the Audison is in the digital signal processing. You get so much control to shape the sound its really easy to get stunningly beautiful quality out of it. No comparison to stock. It'll definitely make the most out of your new Hertz gear. I did a speaker replacement first on my 221 (Focal KRS100 in the front doors and Hertz DSK in the rears) and there was some improvement, but the new speakers are totally different animals on the Prima. The Hertz especially "woke up". Last edited by Mike5215; 10-09-2015 at 03:34 PM. I'm considering a similar upgrade to my W216 CL550. My installer recommended I initially just add subwoofers and amp to the stock system to see if that will satisfy my needs; at least for awhile. The stock system does not sound "bad" at all as is, but lacks authority and punch on the bottom which this should cure. I'm using my Diamond Audio D6 1000.1 monoblock amp and two Diamond Audio M6 10D4 subs in a sealed box. These were in my CLS500 and sounded great. I'm having the stock "subwoofer" removed. Mike5215, do you recommend hushmat for the deck and/or trunk in the W216? I want to avoid rattles with the more powerful subs in the mix. Didn't need it in the CLS. If the subs alone do not improve the sound sufficiently, I'll add a processor-- MS-8 or the Prima 8.9. Sounds like the speaker upgrade alone only provided modest improvement; is that correct? I very much appreciated your blog on your W221 install; very helpful. Better than de equeing is to get into the Maintenance program on the factory head unit and set it to zero. There are two or three sub pages, EQ and crossover and possibly something else. Better yet is Audison Bit Dmi, optical to optical. But still zero out the head unit or you never will achieve what it should be. The Audison rep is doing final set up on my Glk Thursday for the Bit Dmi . I have an audio 20 , and an Audison 8.9. And yes, bypassing the audio 20 eq is best. Bypassing the audio 20s amp and circuits is an improvement. I've talked to elletromedia several times about this, they say it works. Call them.